Alberta’s future won’t be found by trading teachers for tax cuts, Rachel Notley said Wednesday. 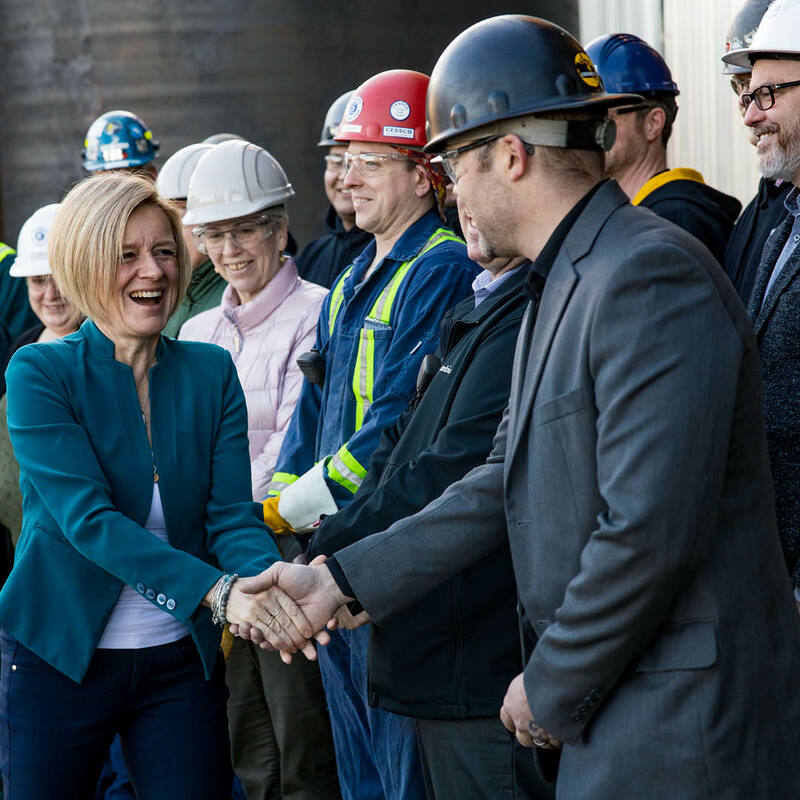 Notley outlined her plan to unlock $75 billion in private investment in adding value to Alberta’s energy sector outside of the industrial heartland. The plan would double Alberta’s petrochemical diversification, which has already attracted billions of investment in major upgrading projects right in Alberta. The announcement builds on work already underway on Notley’s made-in-Alberta energy diversification plan. Nearly $13 billion in private capital investment has come to Alberta thanks to $1 billion of government incentives. Five new petrochemical and upgrading projects are expected to create approximately 10,000 jobs. Based on the success so far, a $7-billion investment over the next decade will attract roughly $75 billion in value-added investments. After decades of talk, Notley is planning to help Alberta get off the boom and bust roller-coaster. While Notley is making Alberta's economy more resilient and less dependent on commodity prices, Jason Kenney is opposing attempts to diversify Alberta’s energy sector. Kenney has threatened to rip up agreements that are bringing billions of dollars in new investments to Alberta. Instead, Kenney is planning to hand over the biggest corporate tax giveaway in Canadian history. While his plan will boost the bottom line of corporations already invested here, it’s unlikely to lead to a big payoff for Alberta’s economy. Instead of taking the province back to boom times, Kenney’s ideological plan will blow a massive hole in Alberta’s budget. Those tax dollars pay for teachers and nurses and the frontline services Kenney refuses to protect. While Jason Kenney plots the largest corporate tax giveaway in Alberta history and prays for a return to the past, Notley is letting the world know Alberta is open for business.